I stumbled into an ebay business. Realised that I could make +300% markup buying used clothes from charity stores and selling on ebay. Then started ebuying and selling on ebay to build up more stock. Income was pretty good for a part time second job and I enjoyed the "treasure hunting". Then about 2 years ago ebay started changing fees and selling expectations and sales completely slowed down. The final nail was when looking at the profits and assessing the hours put in - not good. My method was to add lots of high quality photos and details to help drive sales - which was good, but when I realised that each item took 30 mins to fully list, plus sorting postage, drop offs, returns and items that did not sell - the hourly rate was so poor. Im now stuck with about £4000 worth of stock but have not desire or motivation to list it all. I used to call this business "bottom feeding", I now call it sidewalk! Trying to get an app in the air without any experience in app-building industry nor having the right people on my side to inform me (due to me not asking or looking for those). My app was a female-safety app with 3 modes. Why is the development costing more and more money, leaving me with no usable product all the time? For example: I kept paying more and more for the GPS-function. "Yeah, we found trouble with coding, we need more time, and therefor more money"
Hire a mediator who understands the programming process and has a clear view of how long things can take realistically. Therefor can overview the back-end of the process and "manage" it's developing, while I can focus on the other aspects of the company. Intax, mercenariez, astr0 and 1 other person like this. I tried starting a natural cosmetics store (Gilt Groupe for daily/weekly sales of natural beauty products). The idea was great -- collate rare natural cosmetics into bundles you could buy at discount prices. The bundles would cycle either daily or weekly, allowing for a constant flow of offers for people to look at. Knew nothing, and didn't care for, cosmetics. Had an event in a local beauty spa/hotel where no one turned up, the staff ended up coming around and trying out the products we bought. The products were good - Suki, Lily Lolo, Dr Bragi and Lavera, Zoya, Fushi oils. The natural angle would have been great (TONS of middle class women will spend more on natural cosmetic products -- it's the same vein as the recent vegan trend), but I wasn't the right person to do it. I felt out of place and was too young to bring in someone else. Made a few sales but nothing serious. After the event, I immediately put all the products on eBay and focused on learning about web software (something I'd been involved with since I was 13). I needed something that I could use to pay the bills; I wasn't a beautician and would need something more substantive before trying that again. Intax, Einfamilienhaus, redplant and 1 other person like this. This is the real value of learning coding; not having to rely on third-party libraries and having no price control. Intax, redplant and BaraQueenbee like this. If you have a rather small project (up to ~600 hours of development) it may be beneficial to negotiate a fixed price for the whole project with the developers. Pros: you know how much you would pay and what you would get for the money, no surprises. Cons: specifications should be pretty clear at the beginning and it requires extra estimation step from the developers which you would also pay for (either directly invoiced or hidden somewhere in other tasks). That way, if they're good, they should not ask for extra money even if they f*cked up the estimate or had some unseen issues along the way. Of course, if you want some significant amount of extra functionality, that is paid extra and negotiated separately (for example not only showing user GPS locations on the map as was discussed during the estimate but also some alerts if users leave an area quicker or stay for too long). Sure, you still have to give them feedback and control the progress. Dedicated developers (paid per time) are great for big projects and support, usually with some tech-savvy people on the client side. Those estimates are pretty fine for both sides, but surprises do happen. Remembering once we charged for 200+ hours but actually done it in like 60 (realized that we could build a small framework since a lot of stuff on that project was pretty repetitive), another time charged for ~120, but put like 180 (underestimated the complexity of client's legacy system), still delivered on time. Both clients were happy and returned with more work. Intax, Suzanne Bazemore, redplant and 2 others like this. How I erased a year of my life? Ok, here it goes. I and my friend who owned a 3d art company wanted to do some mobile game startup in 2012. I quit my 9-5, done a lot of fast prototyping and we settled on a game. Build it in less than 2 months, only some polishing left. But then we decided that it was too simple and went back to prototyping for a few more weeks. Finally, an MMO idea was born. I was coding it for more than 9 months, almost done, but there was no art except for some sketches and UI layouts. My friend was busy selling his company, and (probably?) didn't have enough money to pay for the art. I've estimated that it would take ~120k for the art and another ~250k+ for the ads to have a smooth start which is critical for the MMO. It was more than a lot of money for me back then. We knew some people from the industry that "promised" some future support when we had nothing but the idea, but they wanted at least some part of the game completed (full 20% playable, not 80% coding, 1% art). The project just died. I was left with few megabytes of useless code and a bunch of epic battle-cats sketches. Don't try to jump too high over your head. Now, I would start a similar project only if I had $2m+ in a bank account and a least $300k FU money pot. Don't rely too much on your partner(s), always have a backup plan. Getting fast feedback is crucial. Fast time to market is always preferable. Follow your passion, right? NO! Intax, Einfamilienhaus, redplant and 3 others like this. You both are VERY right. And that is what I had in mind of doing with the changed plans. Set price, and having a third party who understands coding, review the proposal and estimate. BaraQueenbee and Greg R like this. As a lawyer by trade, I started a consulting business where sold mediation sessions to businesses to ease their employee disputes. I closed the business last week because its not scalable. I was the only cog in the wheel. I learnt that from MJ's book. do own and control 3 toy stores though - which run independently from me and are based in 3 different cities. So I am focusing on CENTS now. redplant, astr0, bingnanxu and 3 others like this. Loads of "failures" - all which stemmed from giving up because of a lack of confidence and not having clear goals or direction. Went to college to study computer science, specialized in video games, built loads of game prototypes in the 3 years, some good, some not so good, but in the end, never shipped or finished a single one. Lacked the courage to go at it myself and got seduced by a shiny slowlane job despite knowing in my heart I wanted to continue working on my own projects. Then few years later, had a FTE event at work caused by too much overtime, a lack of promotions and some health issues. Left my job, spent over a year working on a 3d game engine, never really had a clear goal in mind and didn't know what I was planning to do with it, just didn't want to work a job anymore and enjoyed doing this. Only focused on the development aspect, built some nice demos and a lot of cool tech, most of which served no real purpose at the time. I didn't have a clue about the business side at the time. Plan was to eventually make a game with the engine and ship that, but execution was lukewarm and I still lacked the confidence to go through with it. Meanwhile, started running low on funds (was careless with money), moved back with the parents, got depressed, wen't out and found another job again, albeit this time at a much more prestigious company with nearly double my previous salary. Decided to put my project on hold and just "enjoy" life for a bit. One year in I lost enthusiasm for the job again and got frustrated with work and life and not having the freedom to do what I want. Also found out I was making less than my peers (some less experienced than me). Felt like I was wasting my life. Thought about going back into trading stocks since I was making more money now, stumbled across TMF while browsing through my kindle (think I had bought it a few months back as a daily deal on amazon, best dollar I ever spent haha). Finished the book. Everything became clear then! It was like neo in the "I know kung fu" scene. Since then, brainstormed a few ideas and finally created a vision for a mobile app I have long had an idea for and meets the CENTS framework. Re-purposed a lot of the code I had written for the game engine into building this app. Have a focused business strategy now on how to monetize it from day 1 when I launch it. Only focusing on developing the features and backend which will directly have an impact on the user experience, not wasting any time on fluff. Planning to finish most of the development while I'm still working a job (and saving most of my paycheck) then go full time sometime next year on the execution while working on the tech aspects as necessary on the side. redplant, minivanman and bingnanxu like this. just couple month ago, I've decided to jump in to the real estate wholesaling business. So, watch loads of Youtube video, seeing success video after success video, listening to podcast everywhere, and will work hard getting my first deal, as the guru said, the first deal is the hardest, is like a snowball effect. I learned everything to out compete my competition, i learned every strategy, brought courses for $1200(refunded already) which the information is already free on YouTube. I cold called, list after list, hundred after hundred of cold call, direct mail and trying everything (spend loads of cash on RVM and Skiptracing). then i got leads coming in, well, people dont want to sell their house below market value, dont want to do seller financing or lease option, i kept trying to close the deal by saying "what if you can't sell?" so eventually they give up on me, stoped trusting me, since they think i am trying to low ball them on their house, which i did NOT, sometime i offer the BEST to cash out their house with barely any profit. They still do not want to believe me. Again and Again i failed, i watch success video after video, trying the EXACT SAME STRATEGY AGAIN AND AGAIN!!! And busting my head off, kept trying, kept pushing. I did not know at that time, the people who did it, sharing out their success, and strategy. is BEHIND the scene SELLING Something, and After done my research, THEY MAKE MORE SELLING THE COURSE THEN THEY DO WHOLESALING!!! Have i thought of giving up? give you the true essence of what it takes, to become extraordinary. Einfamilienhaus, redplant and InfinityStones like this. In 2004, I started an eBay business where I bought things from salvage auctions (new goods with damaged packaging or liquidation/overstock goods). I eventually found a source for Borders Bookstore overstock. I was getting entire pallets of books for $75. I was literally paying two cents per book. I spent more renting a truck to pick up than getting the books. I listed all the auctions for 1 cent and priced shipping at $1 to $2 above the actual cost. Using media mail at USPS, it was still a fair rate. I got to where I was making $2k per month on these books. If they didn't sell, I took boxes to Half Price Books or donated some. Over time, eBay increased their fees, PayPal increased their fees, and eBay made booksellers limit their shipping prices. Sometimes, for heavier books, you took a loss on shipping. 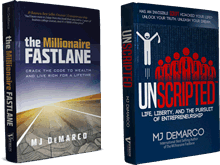 I ended up shutting down and donating the books because my profits kept dipping and I had other things going on in my life. My failure is that if I had just done a little research, I could have moved over to Amazon and probably made more money. In my defense, I was working as a mortgage broker and was taking off. However, when banks going belly up in mid-2007 due to the forthcoming housing crises, I really could have used that income. Although Borders ended up closing, I would have had an existing platform with great reviews. I probably could have found another source. Outside of my family, friends, and pets, I have three great loves in this world - soccer, animals, and books. I would love to be a successful bookseller. The lessons from this (at least the ones I took) is to prepare for things to change. Do your research and find alternative ways to do things. Have contingency plans and don't give up so easily. I am considering trying out selling books on Amazon after all these years. With the scanning app, I could use my love of scanning thrift stores and garage sales of books into sourcing product. .B., Einfamilienhaus and Isaac Oh like this. Failure: Built an eCommerce company selling makeup (my gf and I were partners, which was a mistake in itself) and tech accessories (wtf?). ACT: I know plenty about technology and web design, she knows makeup and advertising. Let's collaborate, make something, and iterate as we go along. ASSESS: We don't know anything about what it takes to find a suitable product/niche. Having two niches simultaneously is a terrible idea. We're spending a bunch of Ad money that we don't have. We work well in business together... to a point. ADJUST: Never open an eCommerce business unless you have at least a semblance of a plan. Find one niche that isn't too saturated, and stick with it. Figure out the logistics and execute if the numbers make sense. Don't open a business with your significant other unless you're ready for more tension in a relationship OR if you guys actually work well together. Lol. .B., Einfamilienhaus, Suzanne Bazemore and 4 others like this. Thought I saw a need: hundreds of people commenting about it every day, hundreds of thousands of views on YouTube videos about this problem (unsolved), streamers talking every other day about this problem and how annoying it was, new YouTube videos coming out every so often about this problem (even to this day), etc. So I created a solution. Took me ~4 months and about $1,000 in prototype testing and development. Doing everything related to the Kickstarter launch cost me time and energy too. Little did I know that starting a Kickstarter is practically the same (at least it was for me) as doing grassroots person by person (one at a time) selling. Second, the need was a lot less than I anticipated, or at least even though people were VOCAL about the need, they were not willing to PUT DOWN MONEY unless hard sold. The odd thing is they are willing to put down money for BIG NAME company “solutions” (basically keep rebuying the same defective product until it breaks, then rebuy, and repeat) but not for my solution (one time buy). Goes to show how hard it is to compete with the Big Dogs, even when your product is -literally- better, but you have no name and are basically a nobody. Though my product solved the problem, overall though the customer probably saw my offer as weak (needed more time to make product more visually cool and advanced looking I guess), and 4 months, I realized, was the “event idealist” in me looking for that easy Kickstarter path to success, when in reality, even Kickstarters are long/hard PROCESSES. In other words, I would now say my product probably needed 1-2 more years of development on top of what I did to become a good enough offer for more customers to be interested in. My Kickstarter finished at 10% of its goal with no more than $10-$20 dollars spent in advertising. I could have spent more on advertising and hard sold my way to 100%, but I actually already run more fruitful businesses, so I turned this pursuit down, since I expected it to explode on its own. Again, I thought there was a strong enough need for this solution to sell itself. Assessment is I was wrong and I failed, though I learned a decent amount about Kickstarters I guess. - Don’t use the Kickstarter “guides” to make your page. People have low attention spans. Too lazy to detail what this means specifically, but basically don’t trust Kickstarter’s “tips”. Trust yourself and yourself only. You know what sells. There is so much I can say on this but if anyone read this far my advice is don’t run a Kickstarter, honestly. I’ve learned so much from this experience re: why a Kickstarter is bad, but I don’t feel like writing any more about it right now due to typing fatigue. I am not saying it is impossible for one to run a successful campaign, or make money, but just that people should know that existing campaigns are highly deceptive in how they portray their “success” of funding, as event oriented (I got rich overnight!) instead of process oriented. minivanman, Bekit, bingnanxu and 1 other person like this. I started a website, posted content, and ran it for six months building up an audience to eventually sell a product. When I finally went to sell the product, I couldn't get a payment processor. There were also some legal questions that were threatening the integrity of the business. Almost a year later it's still unprofitable and has been a total failure. Learned a ton though. Great Thread of Great Value! I learned in some cases from the mistakes of you Guys. Failure: I'll elaborate on the INSIDE once I reach Fastlane but for now I'll say it was a clothing company. It was high school and you could have given me a bag of money and I would have complained of how heavy it was. It did not go anywhere as long as the current partner, Sidewalker kid, at the time was in the company but afterwards it got some success from the owner aka Fastlaner. Act: Toked in Key Biscayne with a Fastlane kid and a Sidewalker for most of high school and an idea was born to create a shirt company. 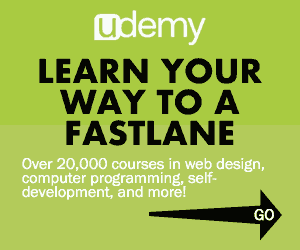 Thanks to Fastlaner's father we got on it and realized quite a bit of the biz fundamentals. Assess: Biggy and some common sense articles on places like Entrepreneur were right. Do not mix biz and friendships, don't put 50/50 decision making, and a lot of rookie mistakes. Another thing was missing out on making connections with Pitbull the rapper early on in Miami when he had just released M.I.A.M.I. album but being massive dumbasses it did not go anywhere. Adjust: I helped sign out the Sidewalker kid from the company and Fastlane buddy made some progress on his side. Sidewalker kept sidewalking so no loss and I realized I needed a more solid business to get to prosperity. Later on I read MJ's book and now I'm here. I do have a few side hustles in mind so I can recruit $ to make major power plays so I look forward to the future. I have started a few months ago working on my "Business". There is no big story which could be interesting behind it. But I think the biggest failure in my present life is to believe being born poor means staying poor. But that is more off topic and it's not important.